Apple WatchOS 2 after delay in launch is now finally available to public. 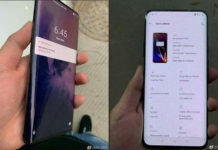 It was initially planned for launch on September 9, pushed to September 16 debut along with iOS 9 update but a bug in testing took Apple to push the release date further and now finally we have it. WatchOS 2 is the first major update to Apple Watch in terms of software update. 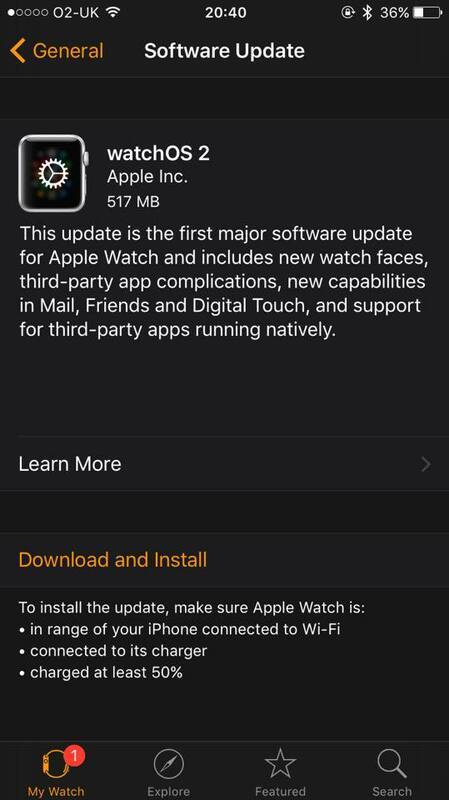 To get this update, your iPhone should be running iOS 9 and then open the Apple Watch app on iPhone, go to General > Software Update. The update is costing around 517 MB but it could be more for your model. 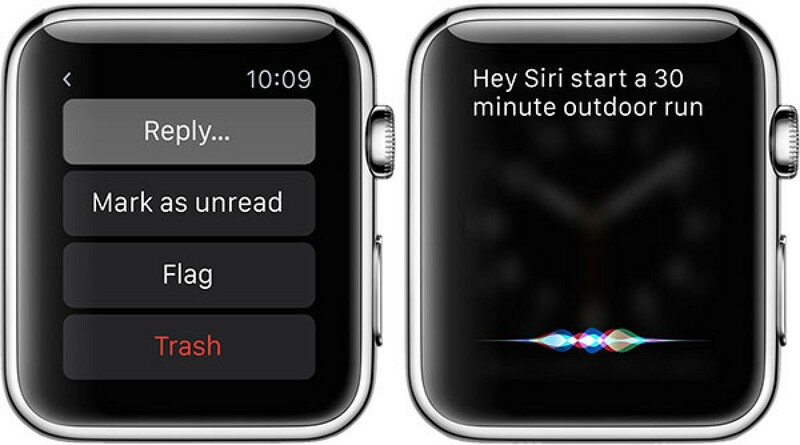 Apple WatchOS 2 introduces a lot of new features. Now you can install native apps on Apple Watch itself instead on iPhone. 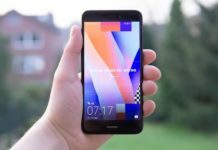 There is also a new developer tool providing access to several sensors hardware features which includes heart rate monitor, Taptic Engine, microphone and accelerometer. There is also Time Travel feature through which you can view upcoming as well as the past events in watch face complication. We also have Nightstand mode which gets automatically activated when you are charging your Apple Smartwatch. 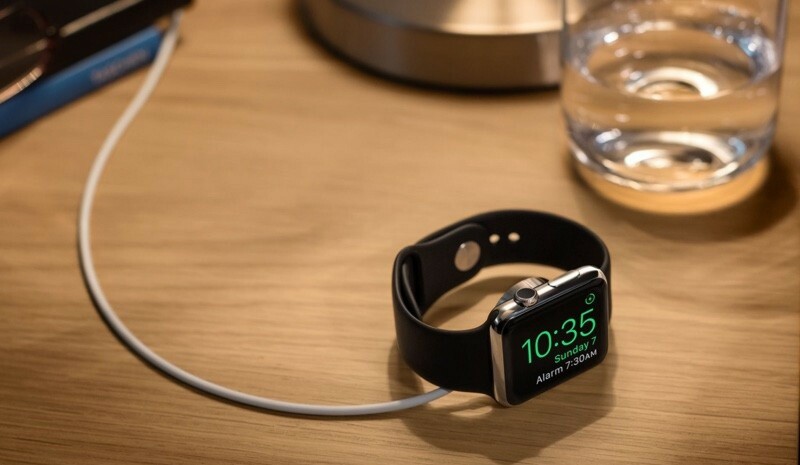 NightStand Mode – Your Apple Watch NightStand Mode will be activated when you are charging it. Tetherless WiFi – Your Apple Watch now can communicate directly with known WiFi hotspots. Native App Support – With WatchOS 2, you can now install native apps on Apple Watch itself. No more need for app installation on iPhone. Display Sleep Period – It quite important for someone to adjust display settings accordingly. Earlier 15 second of display sleep period was limiting feature but with new OS 2 for Apple Watch it has increased to 70 seconds. Music App Update – The standalone Music app on Apple Watch has been updated with a new user interface, Quick Play Settings and a number of features. FaceTime Audio – Apple Watch can now accept FaceTime Audio Calls just like your normal calls. Still there is no support for FaceTime video calls. Revamped Mail App – Apple Watch Mail app has been revamped which now supports sending replices to email message directly on wrist, emoji and mail supported dictation. Time Travel App – Lets you view your past event as well as the upcoming events. New, Improved Siri – Siri includes lot many new features packed in. 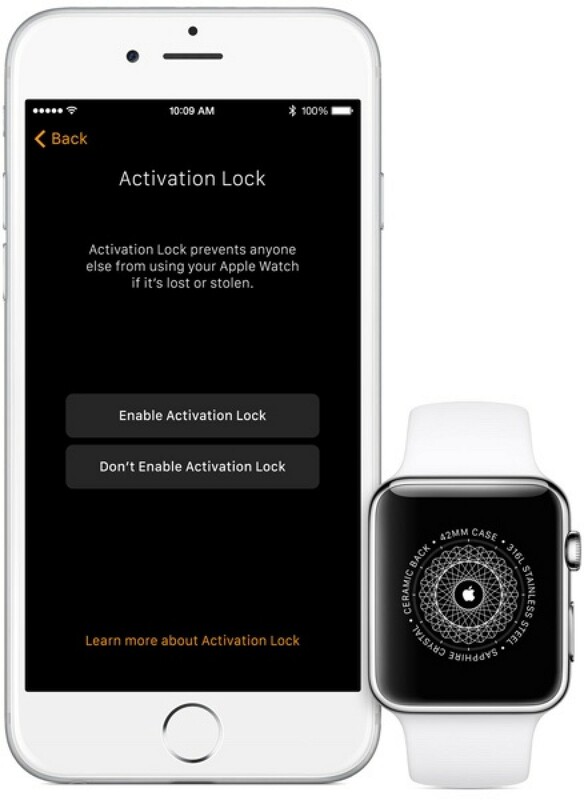 Activation Lock – Apple Watch now has Activation Lock as seen on iPhone and iPad. Make your Apple Watch safer now. 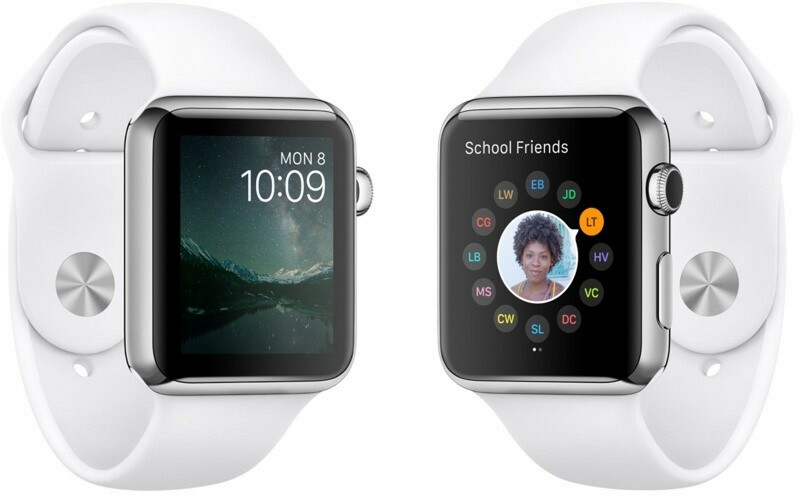 Have you updated your Apple Watch to WatchOS 2?